Save $150.00! Save over $150 on TurboTax Home & Business Online Edition. 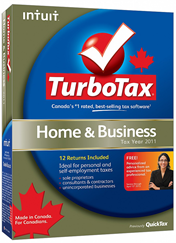 Choose the online edition of TurboTax Home & Business Canada and save a little over $154.00 vs. purchasing the boxed version. This version is perfect for the sole-proprietor, consultant, contractor or small business or home-based business owner. Because you complete your taxes online in the cloud, you can work from any Mac, PC or tablet (like your iPad). This deal is available exclusively from Intuit Canada at Intuit.ca. TurboTax Home & Business fits into category “best of both worlds” as you can use it to prepare your personal taxes as well as account for income received from independent business activities. Just follow the questionnaire that leads from A to Z to complete your taxes and lets you work on it anywhere and anytime. Income section is a very complete one, allowing you to record earning from several activities such as salary/wages received from your employer, capital gains on investments in stocks, bonds, mutual funds, or employee stock options, gains or losses from rental properties, money earned as self-employed, and other business gains. With all the income activities there are expenses and TurboTax Home & Business is able to find all the potential deductions for the mentioned income generating activities. Because the software is up to date with all new tax laws, you are guaranteed not to miss any deductions or credits. Additionally, based on all your activities, the software can serve as a planning tool as it offers suggestions on what to do to reap even more benefits. It also gives you tips how to qualify for other deductions and credits so you can make appropriate adjustments for the following year. Other features of this product include RRSP and Pension Income Splitting optimizers. They aid in planning retirement contributions and managing pension income couples receive for the best economic benefit. 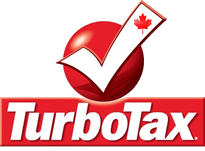 You can import your last year taxes from TurboTax, UFile, or H&R Block, and other financial information ( like epost.ca; cifunds.ca; canadahelps.org). The software fills the appropriate fields automatically no matter which one you choose. The final step is to perform last check for potential errors, catch deductions or credits missed, or point out entries that might prompt the CRA audit. You have the option to purchase Audit Defence that will represent you in case the CRA solicits more clarification about your return. Once it’s set and done you NETFILE your return for fast and secure delivery.